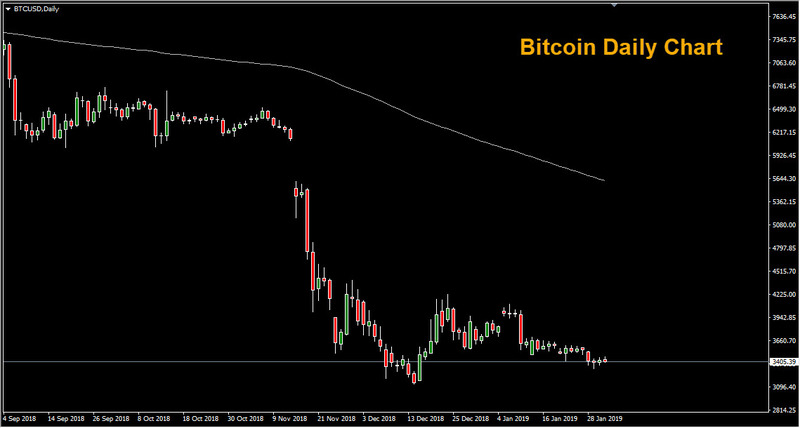 Bitcoin has been continuing its downtrend during the start of 2019, despite some recent positive news including Fidelity’s plan to launch a Bitcoin Custody service in March and the Winklevoss twins remaining commitment to their Bitcoin ETF. In October of last year Fidelity Investments announced it was planning to offer a range of cryptocurrency products designed for institutional investors. The financial services giant is reportedly targeting a March launch date for a Bitcoin custody service. Custody involves a third party holding securities to reduce the risk that they will be lost or stolen. Commonplace in other assets such as stocks, the absence of custody services in crypto has dampened the interest among large investors. Currently, digital coins are often stolen and accounts remain vulnerable to hacking. On January 29th, the Winklevoss twins’ Gemini exchange announced successfully passing a Service Organization Control level 2 (SOC-2) type 1 examination – a security compliance review conducted by “Big Four” auditing firm Deloitte. The twins believe is this will substantially aid in the potential approval of their Bitcoin ETF petition. Gemini’s stated mission is to build a world-class digital asset exchange and custodian based in the United States. 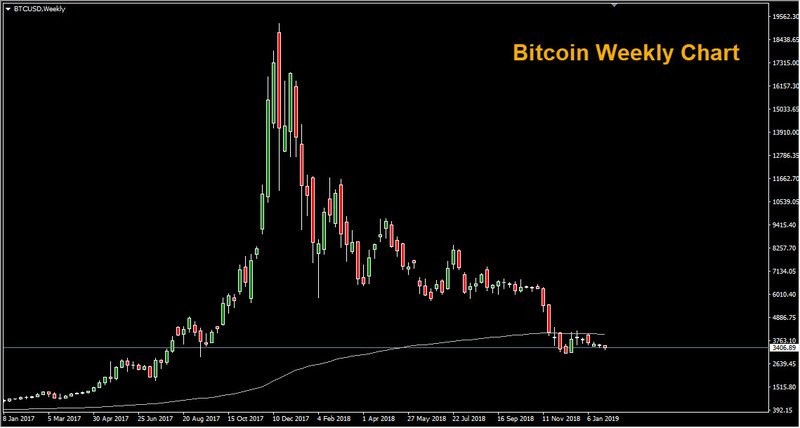 Bitcoin and the wider cryptocurrency market has been battered by a year-long bear market that has been dubbed the crypto winter. Since reaching an all-time high of almost $20,000 in December 2017, the price of Bitcoin has fallen by 80% over the last 13 months. Roughly $400 billion in value has been erased from the cryptocurrency market during the past year. Analysts argue that the speculative mania is over and the market wants to see real adoption and solid transaction volumes in order for price to be driven higher. Meanwhile, the bear market crypto has forced many bitcoin, cryptocurrency and blockchain startups to cut jobs or fold altogether. While Bitcoin has been struggling, the other major alternative to fiat currency has risen to 7-month highs. The yellow metal has been boosted by rising trade tensions with Beijing, Brexit fears and the dovish stance of the US Federal Reserve, which held interest rates steady on Wednesday.